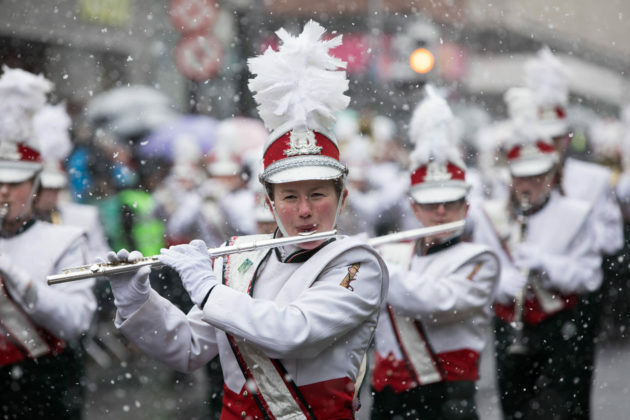 Youngsville High School from Pennsylvania in the United States have been named as the overall winners of the 48th Limerick International Band Championship – Ireland’s only marching band championship. 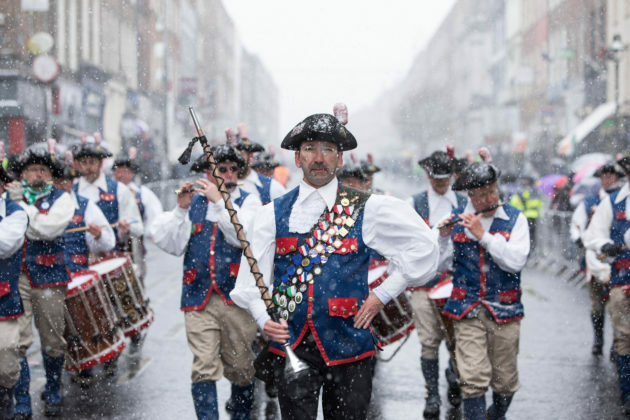 Ron Goss, Stony Creek Fife and Drum Company, Connecticut pictured at the 48th Limerick International Band Championship 2018, Limerick. 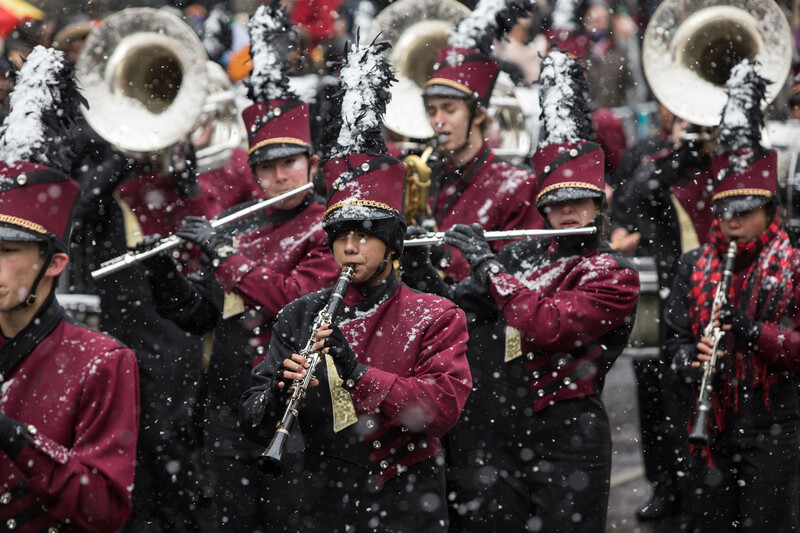 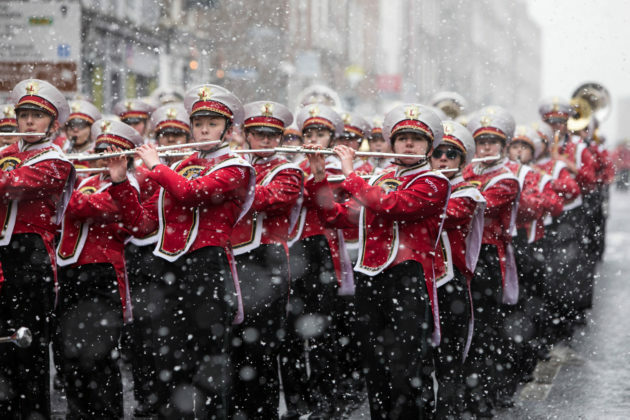 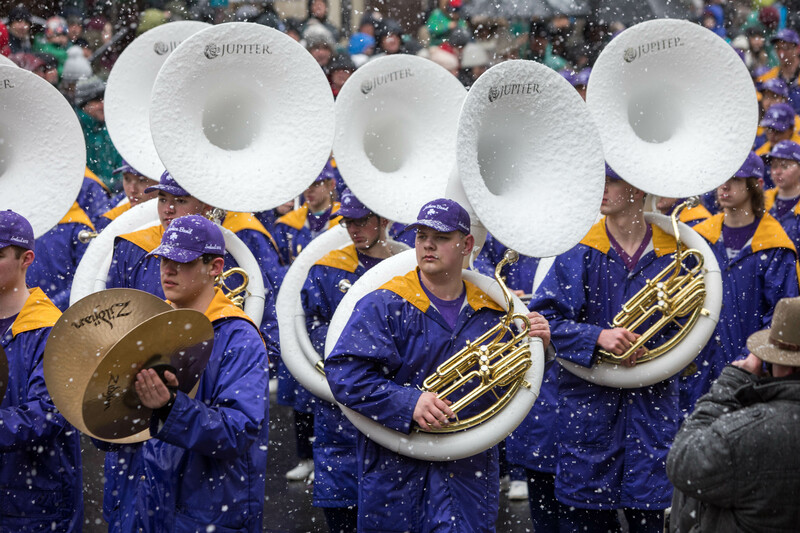 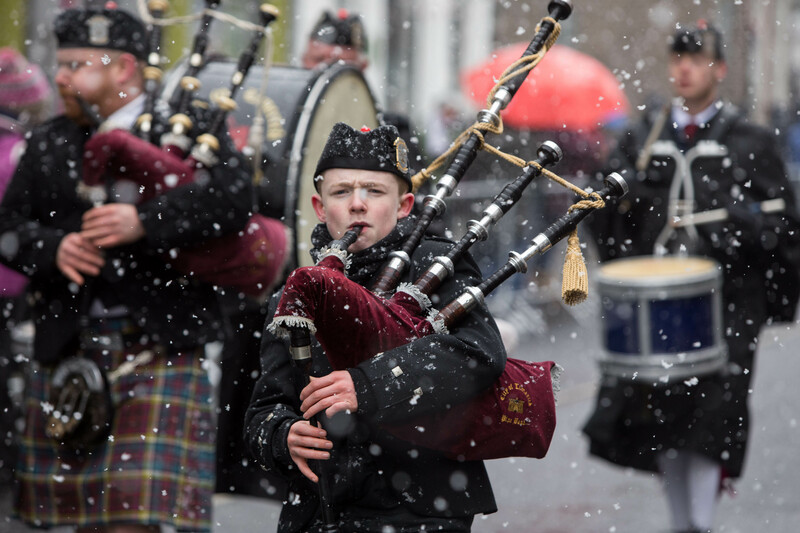 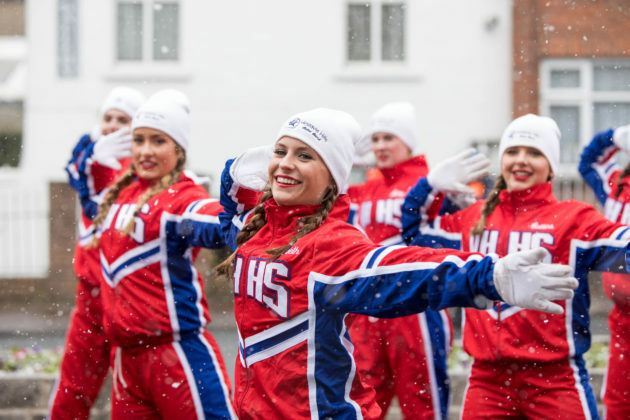 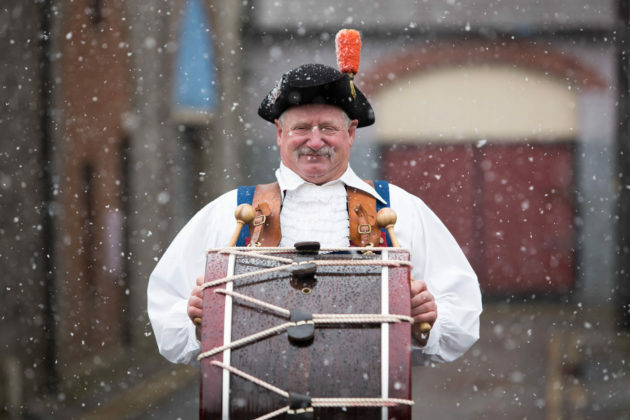 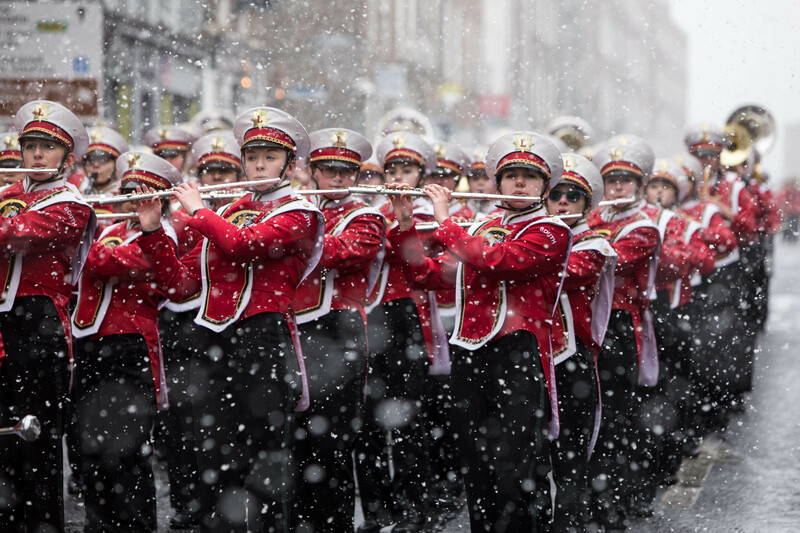 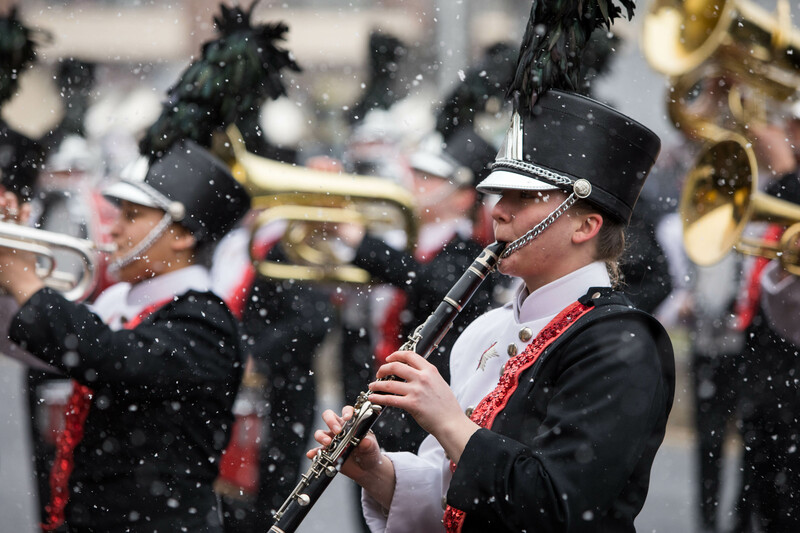 Driving snow failed to dampen the spirits of the thousands of people who lined the streets of Limerick as they cheered and supported the 1,300 musicians from 20 bands takes part in the championship. 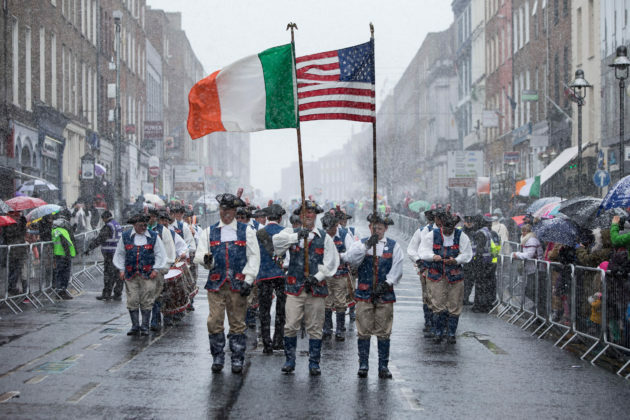 Bands from the United States, Germany, England, Northern Ireland, and across Ireland marched down O’Connell Street in Limerick as part of the Limerick St Patrick’s Festival 2018. 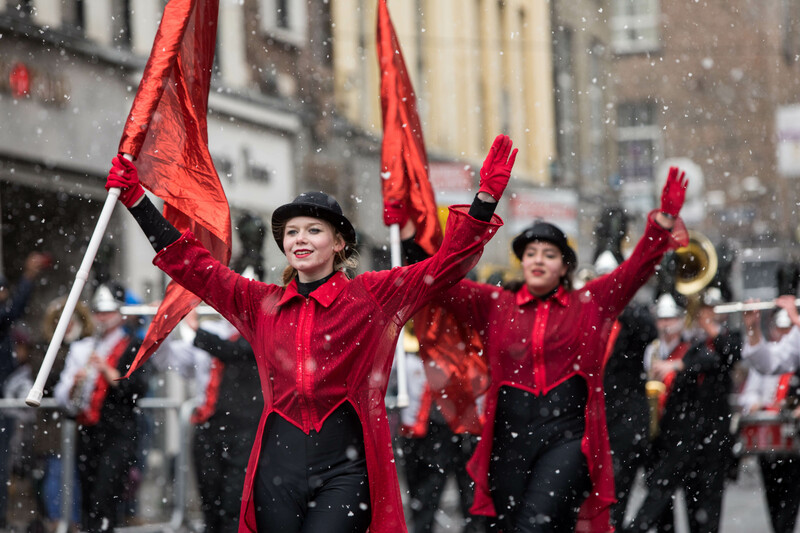 The 70-strong Youngsville musicians were presented with the Kenneally Jewellers Perpetual Trophy as overall winners of the championship organised by Grooveyard on behalf of Limerick City and County Council.